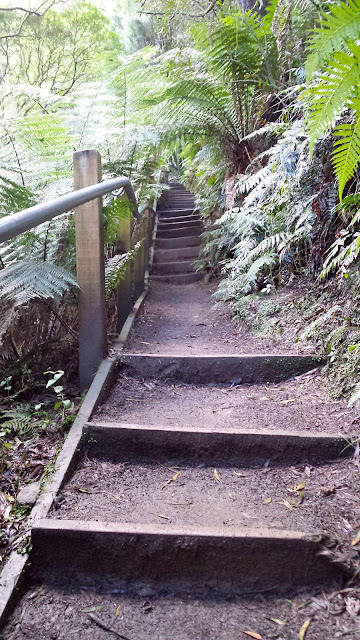 Dirt roads, muddy tracks, steep steps and long walks are all part of the journey - and when the destination is as beautiful as the waterfalls in the Otways, it's worth the effort. There is a platform with views to the top of the falls, for those not able to tackle the steps. A fallen tree added to the beauty of the setting, as the water splashed off the log as it fell down to the Aire River below. 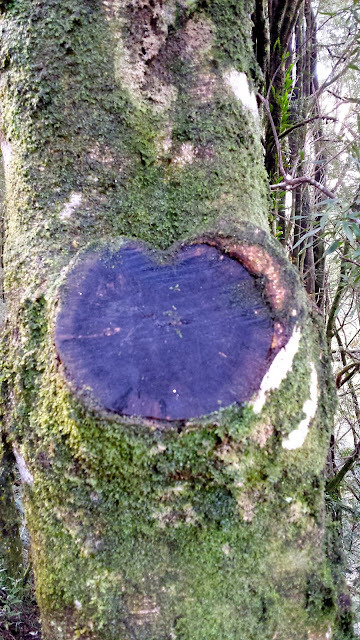 Even the trees were wearing their heart on their sleeve - so much love for this part of Victoria. It takes about 2.5 hours from Melbourne.